TribalCon is a truly cool event and we hope you’re registered to go so we can see you there! This year we’re excited that Donna Mejia is returning and will be giving one of her amazing lectures! There’s a lot to do at this conference so be sure get a good look at the schedule and soak up some amazing knowledge from the tracks they offer. We’ll be there with some cool stuff as well. Prize giveaways, Trivia and Live Tweets are all a part of our TribalCon experience. We love to share the amazing moments of this event with you. If you’ve never been, you’re missing out. Make TribalCon a MUST SEE on your raqs events list every year! 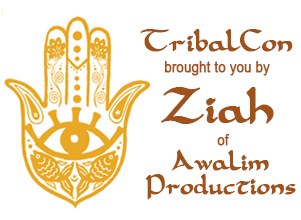 For more information on TribalCon, registration and more click on the highlights.